HomeEditors choiceDo I need a Google My Business page? Google is the leading search engine, accounting for over 80% of all online searches. It’s as popular on desktop computers as it is on mobile ‘phones and tablets. People will search Google to find anything and everything – from their nearest petrol station when their fuel is running low through to finding a new doctor after moving to a new area. While your practice may not be desperate for new patients, ensuring it’s both visible and available online to new both new and existing patients is crucial. A Google My Business (GMB) page makes it easier for new and existing patients to find your surgery – they’ll be able to navigate their way to you using Google maps – and to access your contact details and learn about your opening hours whenever they need to. Google My Business is, basically, a local way of searching. If you search for ‘doctor’ Google will use your IP address to locate you and will provide you with details of local surgeries, which will appear on a map. If you search for a specific GP practice, a box including details appears on the right-hand side of Google, with information, reviews, photos and street views relating to the organisation. GMB works on desktop devices and also works effectively on mobiles and tablets. Patients and the public will use Google to search for information on your practice; by having a GMB page you will appear prominently in search listings. If you are competing with other practices to attract new patients, this is a particularly effective mechanism for doing so. Increased visibility – you can stand out from others in the same area, industry and specialisation. Always-on connectivity – patients can access information on your practice 24/7 – including opening hours information and contact details. Real-time information – you can change the information on Google My Business in real-time, changing contact details and opening times as often as you need. Localised and targeted – people in your area can find your practice quickly and simply, and then call directly without ever needing to view your website. Multiple locations – more than one surgery? No problem – you can have as many GMB listings as you like. Google My Business pages are simple to set up and easy to maintain – but they’re not perfect. The biggest concern many practices have with GMB is the ability for patients to add reviews; anyone can offer their views on your practice, using a Google account, exposing you to potential risk. Google My Business pages are simple to set up and easy to maintain – but they’re not perfect. It is possible – but often quite difficult – to have ‘fake’ or vexatious reviews removed, because Google is reticent to edit reviews once posted. While the risk is low, it is a potentially damaging opportunity for those unhappy with your practice to register their opinions publicly. We believe that the risk is worth it, but it’s a decision you need to take as a practice. How do I set up a page? Firstly, check that your practice doesn’t already have a Google My Business page. 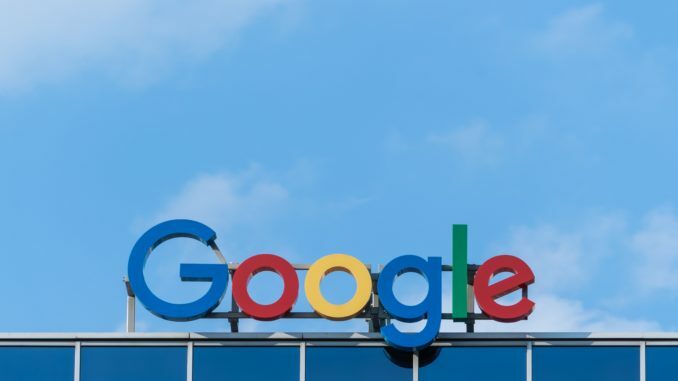 Even though you may not have set it up yourself, Google automatically generates listings for organisations it feels important – which can include GP practices. If one exists, these basic listings can be easily updated with appropriate information. To set-up a new page, or to claim an existing one, you will need to create a Google Account. Google will ask you some questions and will ask you to verify your identity. Even in the modern age they do this by sending you a postcard with a code! Once you have this, you can register ownership over the page, or create a new one for your practice. Setting up the page will take around 30 minutes, during which you will be asked to provide contact details, opening times, information about the surgery, add things like photos and position yourself on the map. Once completed, the information is saved and will appear in Google searches immediately. You can choose to leave the page as it appears, or to update it regularly with information, images and links. This will help to improve your search engine ranking (making you appear closer to the top of Google) as well as showing to visitors that you invest time in your Google profile. Google My Business pages are particularly useful during holiday periods when patients may be confused as to your opening hours. You can update your page as often as possible, including all contact information and even provide links to other providers. Creating a Google My Business page is a necessary task in an age where patients are more likely than ever to search for information on their surgery online. While giving patients the opportunity to review your surgery is a potential risk, this is outweighed by the ability for patients to gain essential information on your practice at anytime and anywhere they choose, improving access and choice.